Flaunt a traditional good luck charm draped in opulence with this beautiful and expertly crafted pendant. Its evil eye frame, believed to protect from negative energies, is embellished with prong set lab grown diamonds that radiate a captivating sparkle. In the center sits a glorious, bezel set lab grown diamond solitaire that completes this picture of refined craftsmanship. 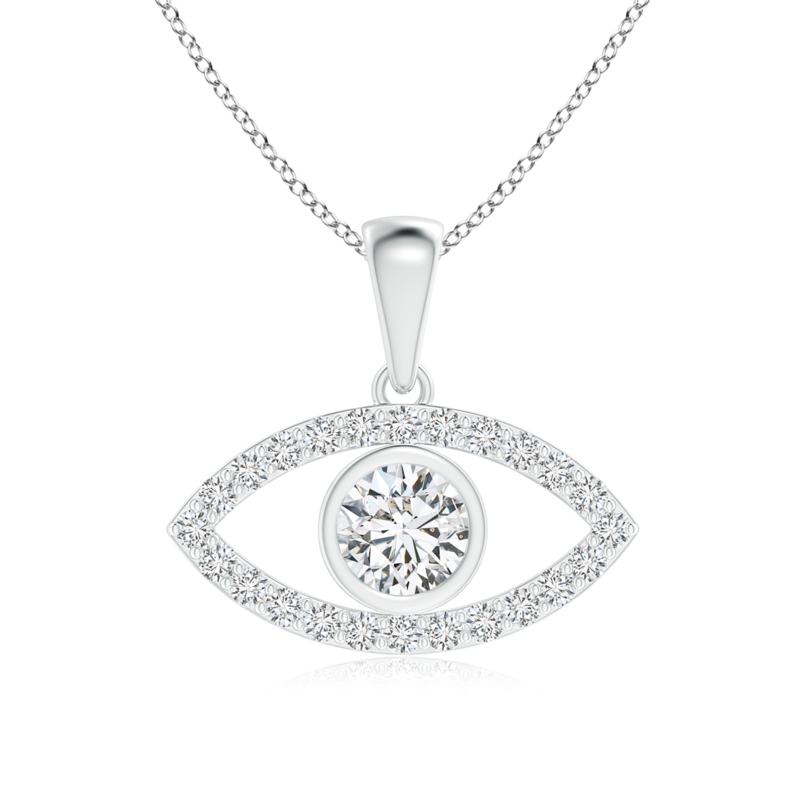 This evil eye dangle pendant, set in 14k white gold, with its undeniably fascinating design is sure to be a wonderful addition to your jewelry collection.